This February, while most people are celebrating (and rightfully so) Black History Month, and while others are celebrating the 20th Anniversary of the movie Groundhog’s Day (respectable as well), we should also take a moment to pay tribute to James Joyce’s Ulysses and how it impacts our daily lives. Namely, our daily use of that hallowed social media instrument known as Twitter. While many people believe, or have been led to believe, that James Joyce invented the technique of stream-of-consciousness writing, this is simply not true—Flaubert and Tolstoy both touched on the style before Joyce; Edouard Dujadin’s We’ll to the Woods No More influences Joyce immensely; and Proust was publishing installments of In Search of Lost Time while Joyce was writing Ulysses. However, in Ulysses, Joyce did innovate and master the technique of stream-of-consciousness writing; so much so that we are constantly quoting Joyce’s cadences each time we use Twitter. Each of those examples adds up to less than the 140 characters of a tweet. In each case, you can see the unique mix of economy and poetry in the language that we can often find in some of our favorite and most articulate Twitter feeds. 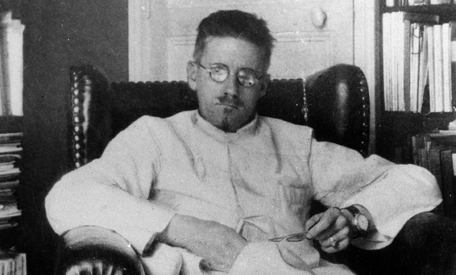 In his novel, Joyce was trying to capture the rhythms of the human mind, which, as it turns out, might be at its most nimble when kept in a specific character range. One of the most amusing aspects of Twitter is when an inanimate object becomes the focal point of public interest, which is then followed by that object taking on an obligatory Twitter handle. The most notable examples, in my opinion, being Angelina’s Leg, Kanye’s Skirt, and The Wimbledon Roof. The Fan: (Tapping.) We have met. You are mine. It is fate. The Cap: (With saturnine spleen.) Bah! It is because it is. Woman’s reason. Jewgreek is greekjew. Extremes meet. Death is the highest form of life. Bah! No offense to the clever minds behind those excellent object-based Twitter handles, but Joyce was already putting words in the mouths of inanimate things almost 100 years ago—and in many cases doing it in under 140 characters. Clearly, this kind of narrative is difficult to follow (well, once you get to know the story it becomes easier, but I won’t brag about that). At points during this section of “Oxen of the Sun” it is hard to know what character is speaking what small outburst of language, what actions are occurring, or if you are even supposed to be enjoying or following the written words at all. Yet, Joyce clearly revels in the freedom that this specific style affords him to make jokes with the English language and its vast array of rhymes, slangs and sounds. And, you can’t deny its uncanny resemblance to the majority of the Tweets that appear under any random trending topic. So, for the rest of this month, as you browse your Twitter timelines and try to come up with your next witty tweet, take a moment to remember old Jimmy Joyce and the artistic vision he had almost 100 years ago. Take a moment to remember and appreciate the influence and history of the English language. Bravo, Matt. This is most excellent. One of the worst and most overdrawn accounts of Joyce I have encountered. You are groping for similarity. Too many examples to recount but that "Joyce was already putting words in the mouths of inanimate things" is a stupidly circumstantial reading of history and literature. You are describing personification, the basis for myth and already a trope when Homer used it. At this point you might as well talk about how ee cummings presaged your drunkenly texting your girlfriend, or Hemingway (after some nonsense about his war on commas) laid the basis for illiterate status updates. Not to mention your character-limit syllogism that completely mishandles the universal and particular aspects of English sentences and the data limit of a social media program. Twitter is no less essential and little more actual than an engine based on artifice, against which (I"m sure you've read this quote too) all poetry revolts. Great points all. And I imagine if more people that truly read and loved Joyce (like you obviously do) read this, they'd probably feel similarly and similarly rip into me. This was just more of my attempt to bring Joyce "to the masses" — or at least to the few people who follow or stumble along to my site — and make them think a little bit about language and history the next time they use Twitter. But again, you're totally right. Some people think he foresaw Facebook in Finnegans Wake with the phrase "The handwriting on his facewall." It sounds nice, but people are too eager to reach for things that seem to fit. Although there was also the phrase "Nike with your kick shoes." in FW. Some 30 odd years before Nike even existed.